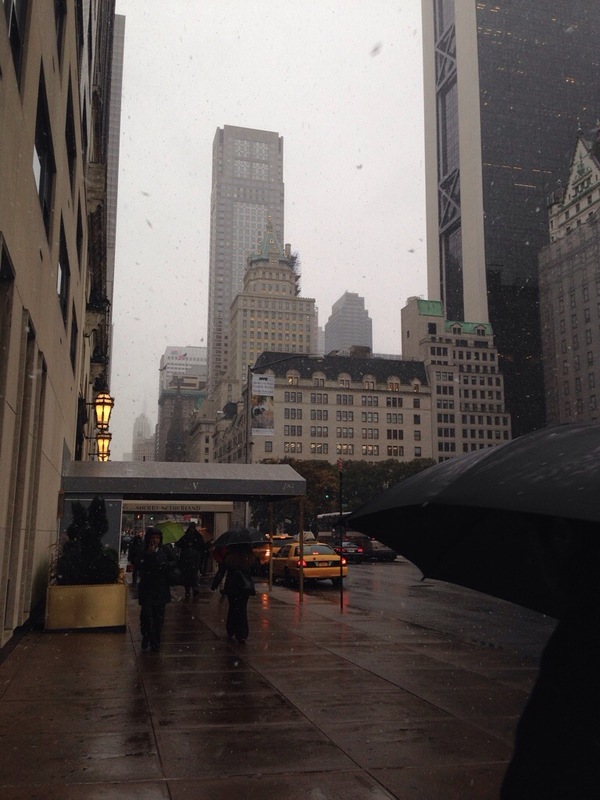 We’re having our very first snow of the season here in the Big Apple. Its not a blizzard or even sticking to the concrete but it is fat, fluffy, pretty flakes. This was my view this morning while walking to the day job, looking south down Fifth Avenue. You can make out the top of the empire state building through the falling snow just to the right of the lanterns on the Parc V & Sherry Netherland Hotels. To celebrate my favorite weather I think I may make a batch of Nigella’s Gingerbread when I get home this evening. Tis the season, after all!